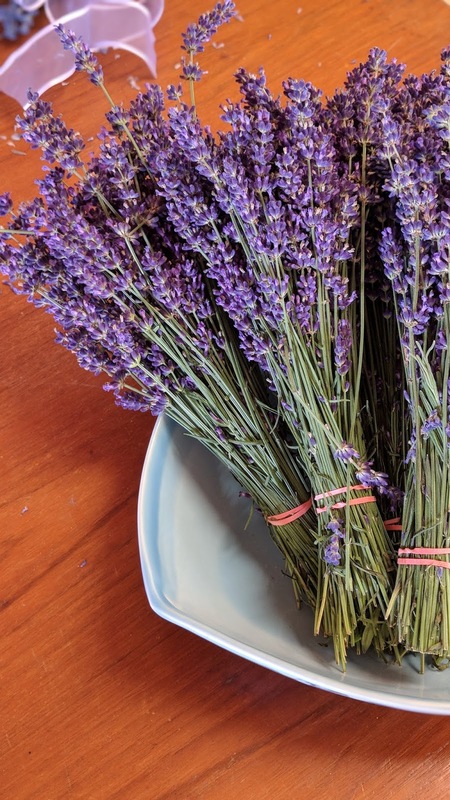 I've always wanted to visit the South of France and admittedly, it has a lot to do with photos I've seen of quaint seaside promenades and gorgeous purple lavender fields. This summer, my husband and I decided to forgo our big summer trip and stay local. We wanted to save a little money for ongoing home renovations and just take it easy. So while France is still on my mind, we decided to put it on the backburner for now. Instead we felt this was the perfect summer to spend some time exploring more of our beautiful province, Ontario! 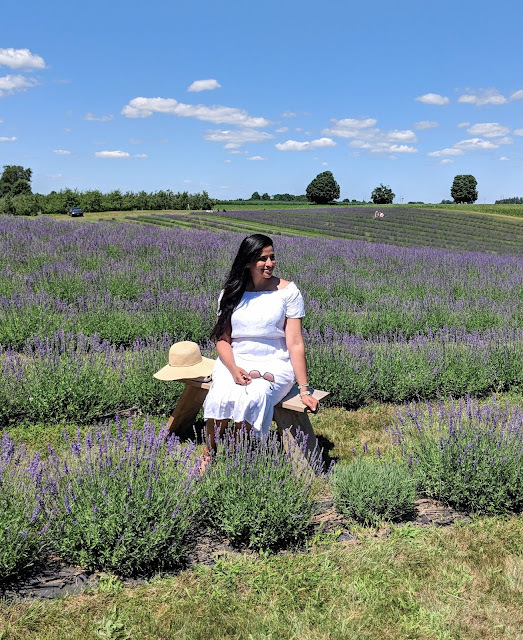 There's so much to explore in our own backyard and with a little research, I realized I could feel like I'd gone away without being far from home and my Lavender dreams were still well within reach! 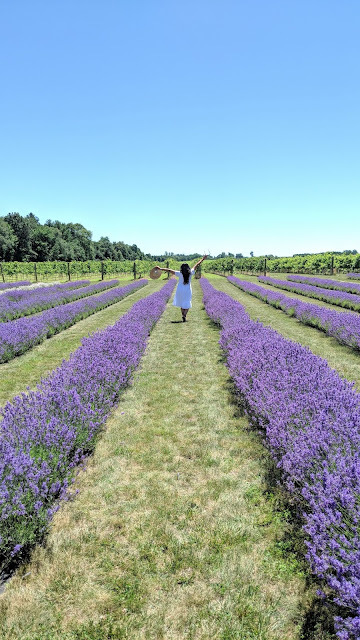 We decided to make a weekend of it and headed to Norfolk County in Ontario's Southwest to experience the Lavender Festival at Bonnie Heath Estates Lavender and Apple Hill Lavender Farm. 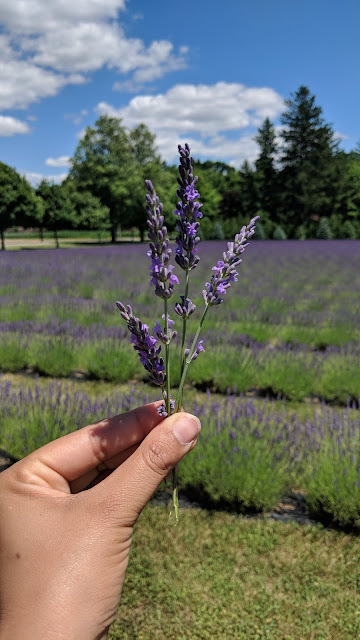 In Ontario, Lavender peaks from early to mid July. So if you're planning to make a Lavender field trip, the sooner the better to see the best colour and blooms. Pack a little picnic and enjoy it with the glorious view of the purple fields. Perhaps some bread and cheese? Of course, since Bonnie Heath Estates is also a winery, you can pick up a bottle of something local to enjoy while you marvel at the view of these purple fields. 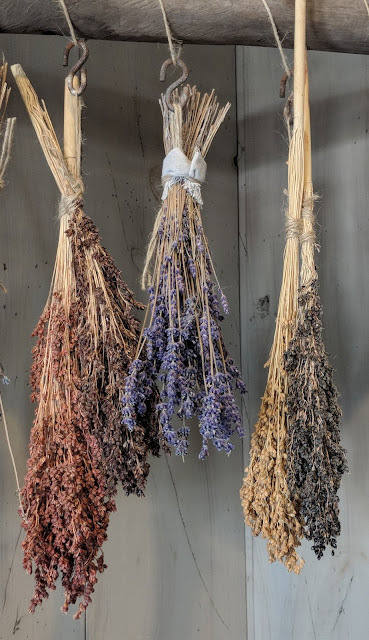 They also have a lavender shop where you can pick up some preserves or a little something to take home. Just remember that there are many other people who want to enjoy the fields. If you decide to stay awhile, find a spot that is out of the way and don't leave anything behind. 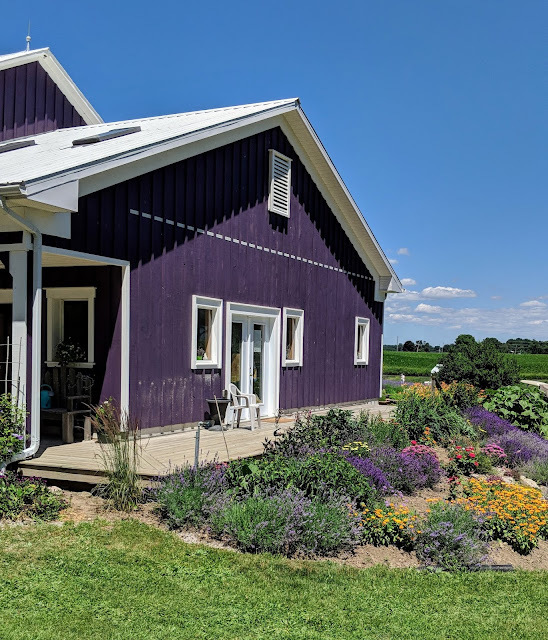 I'd also suggest stopping at some of the many farm stands in Norfolk on your way to the winery - did you know Norfolk is called "Ontario's Garden"? On your next trip to the grocery store, take a look at those farmer's baskets - I can guarantee at least a few of them will be stamped with "Norfolk County". We always enjoy driving through the many fields of crops whenever we visit the area. This time cherries were in abundance and it was amazing to see so many cherry trees all bearing fruit! 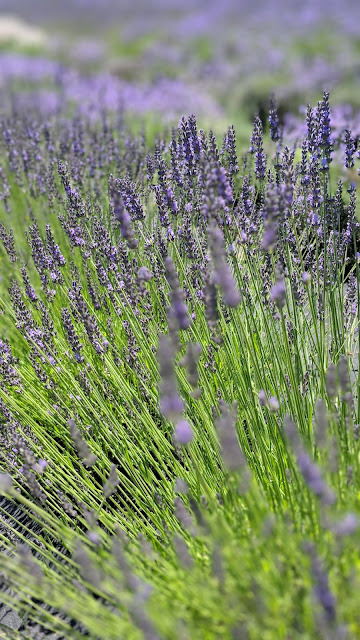 If you visit during the Lavender festival, please note that it takes place in early July. There is a small entrance fee for Bonnie Heath and with your entrance you get 3-4 tastings of wine, ciders or lavender lemonade. They also had some food vendors as well as some talented musicians playing outdoors. Another lovely stop during Lavender Festival is Apple Hill Lavender Farm. 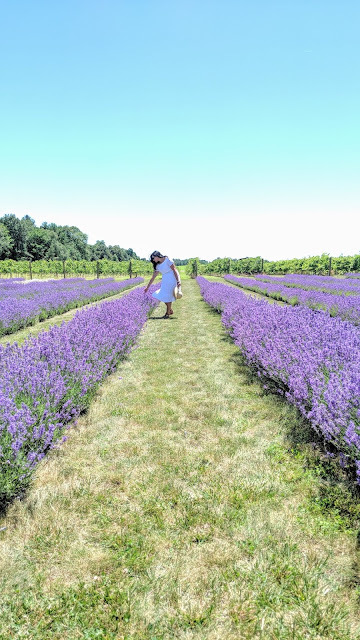 It's such a picturesque place with a barn overlooking fields of lavender bushes. Even the little house here is painted purple! It was so peaceful to wander the rows of purple and we enjoyed visiting the local artisans that had set up stalls for the festival. There was even a food truck! 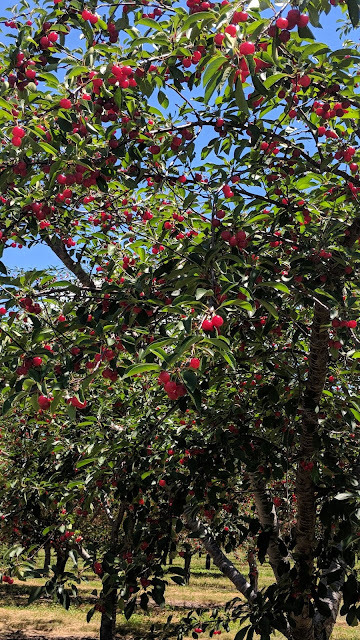 If you visit Apple Hill at any time during the year, you can also enjoy stopping in at Raging Bowl Pottery, to shop for some beautiful and unique hand made designs. 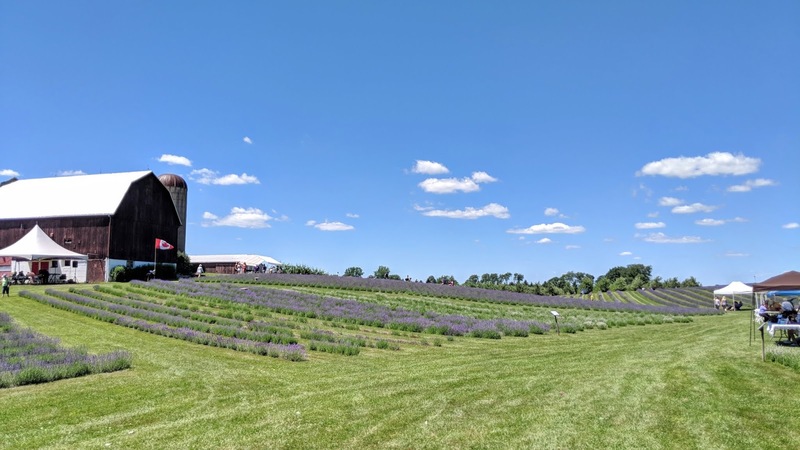 Our visit to the Lavender Farms was definitely a highlight of our weekend, but there's so much more to see and do in Norfolk! I look forward to sharing some more of my favourite places in upcoming blog posts this summer and would highly recommend planning a trip to visit Ontario's glorious garden! 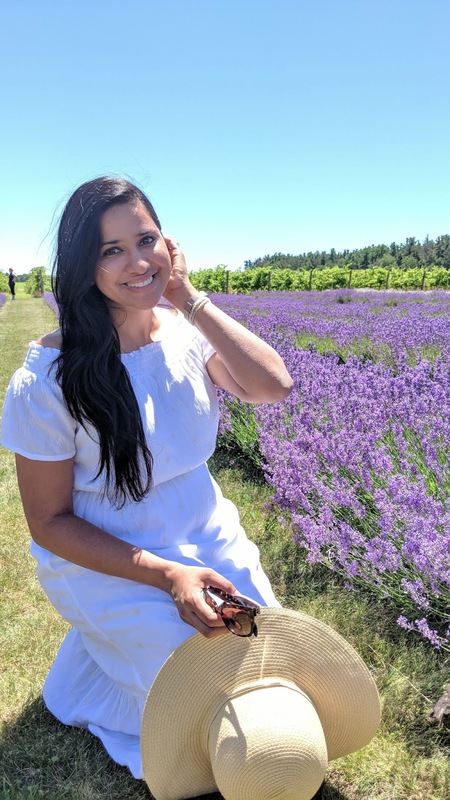 This post was written in collaboration with Norfolk County Tourism. A big thank you to the tourism board for hosting us through the weekend. As always, all views and opinions expressed are my own.